The way to the boss's heart, save money! How much does Non-Hazardous soil disposal cost? 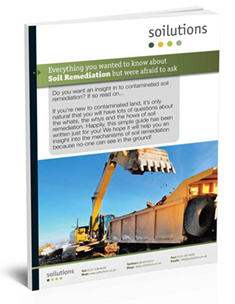 Non-hazardous soils are fairly simple to deal with, we’ve found that there are plenty of options for treatment allowing you to re-use them on site, and we’ve also found that disposal sites are easily found. The cost of non-haz disposal comes in 2 main parts. Disposal, and Tax (don’t forget haulage in your budget). Disposal will vary from one site to another, expect anything from £10-20 direct cost. Landfill Tax depends on the potential for the soils to impact upon the environment. To define this you need to have WAC (Waste Acceptance Criteria) Test results. Soils which fail inert WAC are charged at the higher rate of tax (currently £88.95/tonne as of April 2018), soils which pass inert WAC are likely to be charged at the lower rate of tax (currently £2.80/tonne as of April 2018). Landfill tax exempt sites may also be able to accept the soils, finding one in an economic haulage range is often tricky. It is possible to ‘treat’ soils which fail inert WAC to make them pass. If you’re interested in Treatment options try our White Paper below for more information.